How much does your name matter? One of the very first steps once we decided to rebrand was to evaluate whether we needed a new brand name. A new brand name is not a necessary element of a re-branding exercise, and it’s certainly not suitable in some situations. We needed a cost benefit analysis. This was where my actuarial analytical mind came to be handy. Generally speaking, a new brand name can cause confusion to existing customers and undo past marketing efforts. However, the younger the brand is, the less it has to lose. In our situation, Global Handmade was only 10 month old, so it was definitely a young business. On the other hand, we were certainly aware of the implications of a name change, and the amount of work that this would create. So it all came down to this: could we come up with a brand name that’s significantly better than Global Handmade? Looking back, I think “Global Handmade” failed at least one crucial test. It didn’t imply what the organisation stood for. When I attended networking events, people often looked at my name card and asked what ‘Global Handmade’ was. Their first guess would be some crafty business. They were certainly right because most of our products were hand crafted; however, the name said nothing about what we stood for or that the products were fairly traded. When I first chose the business name, I picked something that described what the products were. But after 10 months of business experience, I came to the realisation that what we stood for was far more important than what we were selling. People bought from us not because the products were hand crafted, but because they supported our values and they supported fair trade. In other words, a lot more people were interested in fair trade practices and ethical products than the method of production. I realised that the brand name had to be changed. The length of time that it took me to decide on a new name was about 10 hours. By now, you might have realised that I’m the sort of person who jumps on things. In less than 24 hours, I had registered a new business name, bought four new domains, set up two new email accounts, and set up a new private company. Why did I choose ‘Oz Fair Trade’? Because it was available, it implied exactly what we stood for, and it implied that we were a locally owned business. It was also very important to check the availability of domains. I wanted to get four domains i.e. ozfairtrade.org, ozfairtrade.org.au, ozfairtrade.com and ozfairtrade.com.au. There were some other names that could have worked, but at least one domain was not available. Once the decision was made, I quickly registered all four domains. The default domain at the moment is www.ozfairtrade.org. Coming soon: How to rebrand an e-commerce store (Part III) – How much does your website matter? 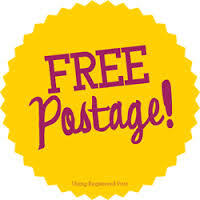 Free postage: is it really free? I still remember the shock of paying for postage when I first shopped online. At the time, not many e-commerce offered free postage, and often it was hidden until the last moment. Today things are a lot better, and stores have learned that it is good practice to show postage cost up front. However, the postal cost in Australia is still one of the most expensive in the world. Especially when you try to send a small package which fits in a padded envelope, as soon as its depth is more than 2cm, it is considered a package and therefore, the postage cost starts from $6.95. The cost of sending overseas is even more shocking. It is almost always cheaper to send stuff home from overseas than the other way around. For those of us who really want to offer the best customer service and offer free postage, we have elected to absorb the full postage cost. At Global Handmade, I initially offered free postage on all orders, but soon realised that it’s not feasible. The current policy is to offer free Express postage on all domestic orders above $50 and on all international orders above $150. Now you might ask, is the postage really free, or is it built into the price? Since I started the business, I’ve gradually learned that the price of a product has little to do with its cost and a lot to do with the demand and competition. In other words, I needed to guess whether a cheaper price or free postage was more attractive to consumers. I asked my customers what they preferred, and free postage stood out as a clear favourite. I believed this was because the prices Global Handmade charged were already very competitive. Then I did something crazy again. I decided to offer free return postage and allow 365 days for customers to change their mind. I took a risk. I saw it as a necessary risk, because I had full confidence in the quality of our products, and I wanted more people to give us a go. By providing a risk free trial, I’m essentially saying, “I bet you’ll love it”.